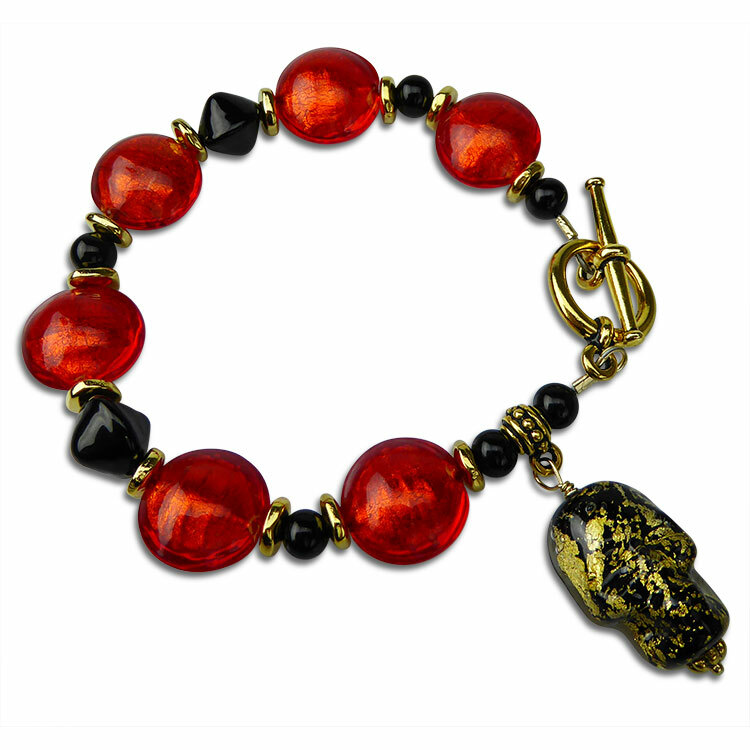 This bracelet features an array of colorful gold foil Venetian beads of Orange over 24kt Gold Foil and contrasting solid black Murano Glass Beads. A dangle of a Black Skull laden with 24kt gold foil and encased in clear glass is the finishing touch. The length is 7 3/4 Inches long. We can adjust the length to fit you, just put a note in the comments as you check out.